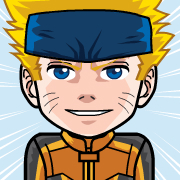 Can you make Sasuke or Kakashi... I hope the mangatar has some tools that can make it happen? Gostei muito desse avatar, parabéns!